In this chapter, we learned how to use and describe common activities using verbs. We also learned how to make or suggest plans by using the 「～たい」 and volitional form. Finally, we learned the concept of verb clauses and how to use them to create more complicated sentences. Here is a short list of examples using the various conjugations we learned in this chapter. In this chapter, we learned how to use verbs to talk about things we do or do not do. The verbs, by themselves, do not have a specific tense so they can be used to describe activities in the future or an unspecified time. With the grammar we learned in this chapter, we now know how to make plans with other people and talk about what kind of things we do on a regular basis. Here is a long list of vocabulary describing various times in addition to the ones we already learned for days of the week. Though the vocabulary list is rather long, you’ll notice that it’s mostly different combinations of the same Kanji such as 「日」 for day. What shall (we) do today? What kind of food do (you) want to eat? What shall we eat for lunch? What do (you) usually do on weekends? Do (you) have some kind of plan this winter vacation? How (about) going to watch movie next weekend? What do (you) like to do when (you’re) free? If you have friends who speak Japanese, great! Next time you’re making plans either in an email or face-to-face, surprise your friend by using Japanese. Otherwise, for your diary on paper or on Lang-8, you can talk about the kinds of things you do and activities you enjoy. For example, here is a short self-description of John Brown talking about the things he likes to do (or not). Nice to meet you. My name is John Brown. As for (my) hobbies, there aren’t any particularly but (I) like sleeping the best. (I) don’t like doing things like homework and studying very much. But (I) like speaking in Japanese, you know. Because things like Kanji and pronunciation are interesting. (I) want to go to Japan sometime. As for in the future, (I) want to do a relaxing job as much as possible but everybody in Japan works a lot so what should (I) do? As expected, (I) want to go when (I’m) a student. Now that we are familiar with both state-of-being and verbs, we can begin to look at how to use verb clauses to construct more complicated sentences. As we have learned, a complete sentence must end either in a real verb or state-of-being. This sentence can also be used as a clause as a part of a larger sentence. Remember also that the polite form only goes at the end of a complete sentence so a verb clause used within a sentence must be in the plain form. A verb clause can be used to describe a noun just like an adjective by attaching the noun to the end of the clause. The highlighted areas show the clause that is being used in a larger sentence. When eating a meal, don’t watch TV. People that do not read books are not smart. Tall people are lovely, huh? Don’t like people whose personality is not gentle. For clauses that end in a na-adjectives, once again, we need to use 「な」 to attach it to a noun. As for nouns, there is no need to use a clause to modify a noun with another noun as the 「の」 particle allows us to chain any number of nouns. Fruit that has very pretty form is tasty. As for second year Japanese students, luck is good. Yamamoto: Tanaka-san, do (you) have some (kind of) plan this spring vacation? Tanaka: Yes, (I) plan to go sightseeing to Mexico. Yamamoto: That’s nice. I want to go to Mexico too. Yamamoto: No, it’s not the case that I want to go together with you in particular! 「の」 can also be used as a noun replacement. The difference is 「こと」 is a more general statement while 「の」 is specific to the context of the sentence. It is difficult to eat rice by way of chopsticks. Not good at waking up early in the morning. Teacher: Smith-san, what kind of thing(s) do (you) like to do when (you’re) free? Smith: Let’s see. (I) like to watch movie(s). Teacher: Brown-san, do you have any plans tomorrow? Brown: Yes, I also want to go see (a) movie. Teacher: ? Do (you) understand my (the teacher’s) question? Brown: No, (I) don’t understand. Teacher: Do (you) not understand the meaning of “予定”? What do you like to do when you’re free? Smith: Do you have some kind of plan this weekend? Smith: How about going to Japanese bookstore with everybody? John: It’s too bothersome so I’m fine. Smith: What do you like to do when you’re free? John: I like not doing anything. Particles can be used with some question words to form other useful vocabulary. Let’s first learn or review all the various questions words. The following question words can be used with 「も」 to include and/or exclude everything. Things aren’t as consistent as one would hope however. For example, 「何も」 is usually not used to mean “everything”. And 「いつも」 always means “always” for both positive and negative forms. Other words can be used instead to express similar concepts. The combination of two particles 「でも」 can be used with question words to indicate “any”. The question marker can also be used with some question words to indicate “some”. John: (It’s) finally (the) weekend. (Are you) free this weekend? Let’s go somewhere to play. Alice: There’s (a) Japanese test next week but are (you) ok? Alice: Then how do (you) write this word in Kanji? John: (I) don’t know at all. Alice: (It’s) 憂鬱 and 朦朧 and 躊躇. John: Is that coming out on (the) test? Alice: (It’s a) joke. (It) won’t come out on the test. Alice: Hey, as for today’s lunch, let’s go somewhere to eat. John: Right. What shall we eat? Lee: I’m fine with anything. Alice: Then, don’t (you) want to eat something tasty? John: That’s obvious. Who wants to eat a thing not tasty? John: Then, let’s challenge (ourselves) today with something not tasty! Alice: Everybody is strange as usual, huh? The cafeteria is fine for today as well. In order to describe what someone or something wants to do, we must conjugate the verb into the 「〜たい」 form. This is done by simply attaching 「たい」 to the verb stem. One important thing to note is that this conjugation changes the verb into essentially an i-adjective. This is because it’s no longer an actual action but a description of what one wants to do. Therefore, you can do all the same conjugations on the 「～たい」 form as any other i-adjectives. (I) want to eat crab. (I) want to go to Japan. (I) don’t want to watch (a) scary movie. We’ll learn more about different uses of the volitional form later on but for now, we can simply consider the volitional form to mean “let’s” or “shall we” e.g., “Let’s go watch a movie.” The rules for changing a verb into the volitional form is below. Alice: Shall we study Japanese at the library? Alice: Then, what do you want to do? John: Shall (I) go to watch a movie maybe? Alice: Are (your) studies ok? Alice: (It’s) definitely not ok, you know. The conjugation rules for polite version of the volition form is simple and only requires adding 「ましょう」 to the verb stem. Yamamoto: Let’s begin today’s lesson. Smith: Teacher, because the weather is good today, let’s do the class outside! Yamamoto: That’s a good thought. Shall (we) go outside? Before we can learn the conjugation rules for the polite verb form, we must first learn how to create the verb stem. The verb stem is used in many different types of verb conjugations including the polite form. Below are the rules for changing the verb to its stem. Now that we know the rules to create the verb stem, it is very easy to conjugate the verb to the polite form for both the positive and negative. The verb stem can also be used to make it a target for another verb, typically a motion verb such as “go” or “come”. This is done by attaching the 「に」 target particle to the verb stem. Go to watch movie with friend(s). Yamamoto: Everybody, what will (you) do at this year’s spring vacation? Lee: As for me, (I) will do part-time job here. Yamamoto: (You) will not go to meet your family? Lee: My family is in Korea so the plane ticket is very expensive. Therefore, (I) will not go back home to Korea this year. Yamamoto: Is that so? (It’s) very tough, isn’t it? In this section, we’ll learn how to conjugate verbs to the negative form. However, before we can learn any verb conjugations, we first need to learn how verbs are categorized. With the exception of only two verbs, all verbs fall into the category of ru-verb or u-verb. All ru-verbs end in 「る」 while u-verbs can end in a number of u-vowel sounds including 「る」. Therefore, if a verb does not end in 「る」, it will always be an u-verb. For verbs ending in 「る」, if the vowel sound preceding the 「る」 is an /a/, /u/ or /o/ vowel sound, it will always be an u-verb. Otherwise, if the preceding sound is an /i/ or /e/ vowel sound, it will be a ru-verb in most cases. If you’re unsure which category a verb falls in, you can verify which kind it is with most dictionaries. There are only two exception verbs that are neither ru-verbs nor u-verbs as shown in the table below. We can now learn the rules for conjugating the verb into the negative form based on the different verb types. Be extra careful of 「ある」 which is one extra exception verb for this conjugation only. You don’t have a TV? John: Hey, as for recent TV shows, how (do you) think? It’s not interesting at all, huh? Alice: (I) don’t know. As for me, I don’t watch TV so. John: Huh? Why don’t (you) watch it? Alice: As for our house, there’s no TV. Alice: (It’s) true, you know. Before we can do much with verbs, we first need to learn some particles that are used to describe how various parts of a sentence interacts with the verb. The 「を」 particle is used to designate the direct object of a verb. Note: While 「を」 is technically a w-consonant sound, it is pronounced the same as 「お」. We learned that we can list multiple nouns in the last chapter with the 「と」 particle, e.g., salt and pepper. We can also use the same particle to describe an action that was done with someone or something. The target particle is used to designate the target of an action whether it’s a time or location. It serves the purpose of many English prepositions such as “at”, “in”, “to”, and “on” as long as it indicates a target of an action. As for relative(s), come tomorrow. Stand in front of people. The context particle is used to describe the context or the means in which a verb takes place. For example, if you’re eating at a restaurant, since the restaurant is not a direct target for eating, you wouldn’t use the 「に」 particle. Instead, you would use the 「で」 particle to describe the restaurant as the context in which eating is taking place. Watch movie at movie theatre. The 「へ」 particle is similar in some ways to the 「に」 particle. 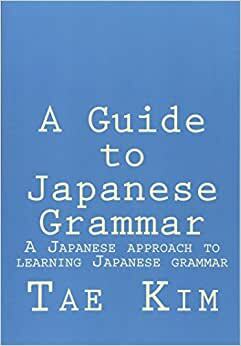 However, while the 「に」 particle indicates a target for just about any verb, 「へ」 is more specifically used to indicate a direction of motion verbs such as “to go” or “to send”. Because the 「に」 particle does everything 「へ」 does and more, this particle is not used as often as the other particles. However, it is still beneficial to be at least familiar with it.